We believe maintaining and loving your car shouldn’t be a scary process. 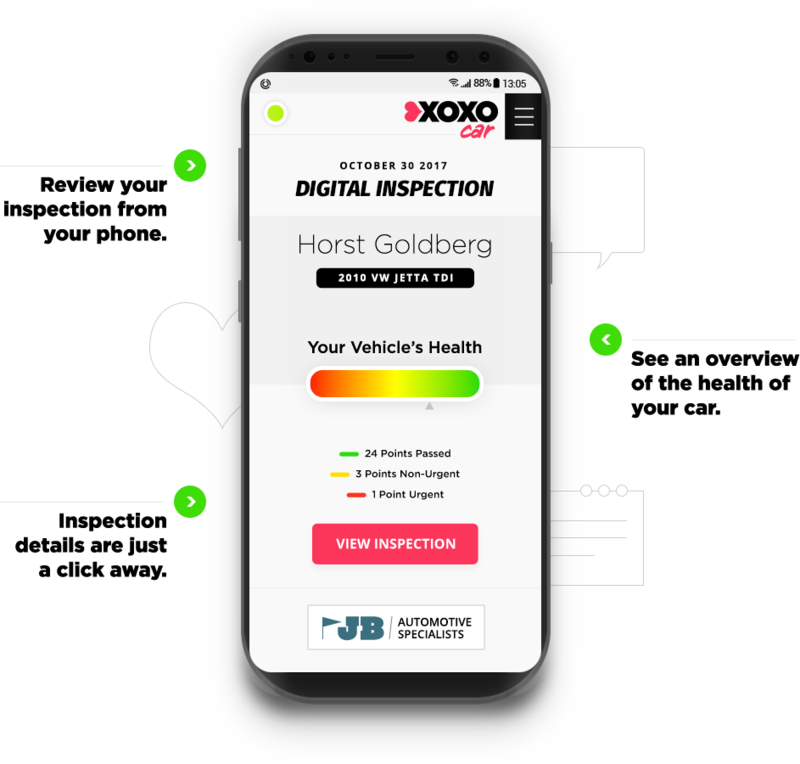 With XOXOcar, see your inspection details with pictures and video. Work on your vehicle doesn’t begin until you give the go ahead. See your vehicle’s inspection in the palm of your hand. Toss the keys to your nearest XOXOcar certified shop. Receive a text message with a link to your inspection details. Work starts only after your OK. When the work is completed, you’ll be notified. Grab your vehicle and get on your way! Toss the keys to your XOXOcar certified shop. You'll hear from them soon. Receive a text message with your Vehicle's Health Rating. Work starts only after you OK it. Approve the work you want performed, and you'll be notified when it's done. Grab your keys and be on your way!